By Kate Ni Chleirigh | October 12, 2010. Halloween is upon us once again and everyone is rushing to find the perfect costume, but with people leading hectic lives in recent years the increase in store bought costumes has increased immensely. Years ago, it would be who made the best costume out of their mothers sheets or a bin bag that would win best costume at the local party but now it’s the most expensive, which takes away from the whole concept of Halloween. While searching the net for costumes, the first online site to come up was thecostumeshop.ie. 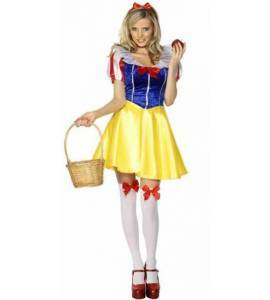 The site covers every costume buying individual with men’s, ladies’, couples’ and children’s sections. While there is a wide range of good costumes, you will pay the price for taking two minutes to choose one; their cheapest is at €28.99 and their dearest is at €129.99. One chain which has taken advantage of the hard times is €uro 2. It is selling costumes for small children for €5 – cheap, it’s true – but when you’re purchasing a store bought costume you are guaranteed to lose the fun of spending time and being creative with your children. There are so many easy ways to dress up these days that it takes the fun out of Halloween. Each year fewer children are dressed in a bin bag and more are wearing the latest spiderman or fairy store-bought costume. Children even have store-bought bags to put their sweets in nowadays. Forgotten are the times when you would run back to your house to get another Superquinn bag because yours had just broken and your sweets were being consumed by a family of ants. With the recession still ongoing perhaps it’s time that we took back the fun of Halloween and began making our own costumes again. The internet is a huge help as you can be even more creative thanks to the ideas you find online. Costumeideazone.com is a great site that shows you how to make the most complicated of costumes from basic things lying around your home, ranging from a rubix cube to a crane. People need to take back the fun of Halloween. From personal experience, making my own costume at Halloween was my favourite time of year. So put down that credit card and start searching your shed for ideas on what you want to dress up as this year.